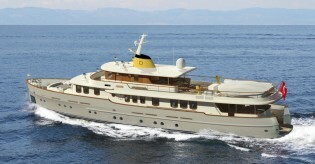 Su Marine working on New 36m Classic Yacht CMY 36 by Taka Yacht Design – Superyachts News, Luxury Yachts, Charter & Yachts for Sale. Construction of her steel hull began in September 2015. 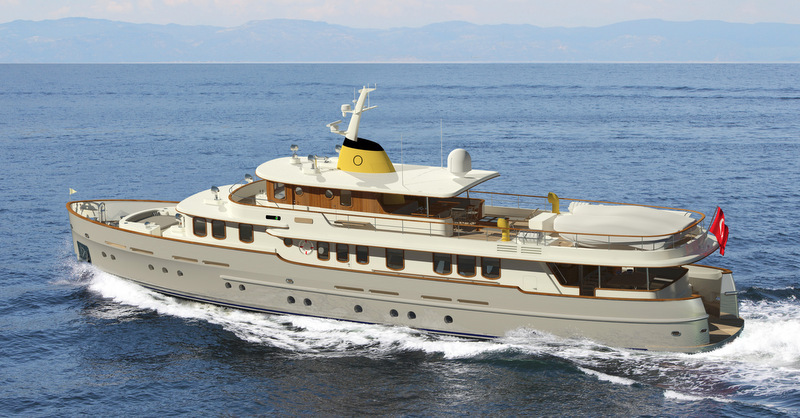 The yard also started to work on the wood-epoxy superstructure, crew area interior, as well as stainless steel outfitting. Designed to provide a relaxed atmosphere in a comfortable, homely and classic ambience, the beautiful interiors were developed by the yard’s in-house architect Denizhan Sidar, with strong involvement by the owners. There is a nice blend of satin finished timbers as well as off-white and grey lacquered surfaces. Floors will be crown cut natural oak parquet, and the main veneer to be used in the panelling will be Palisander (Brazilian Rosewood).